ARSK & Associates (ARSK) is a partnership firm of Chartered Accountants, owned and managed by certified Chartered Accountants, who have been serving the company since 1984 with a target to render timely, independent and objective counsel in the areas pertaining to accounting, auditing, taxation and management consultancy. 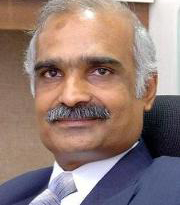 Having been involved in profession since 1984, Suresh successfully combines his collective expertise in Accounting, Auditing, Financial Engineering and Planning to facilitate Managements to strategize, plan and effectively implement sustainable business models. He also specializes in preparation, structuring and vetting of corporate agreements which include Joint Ventures, Shareholders' Agreements, and Business acquisition documentations. Ajoy heads the Direct Taxation practice encompassing International Tax, Income Tax, Transfer Pricing, Tax Financial Planning and the entire spectrum. 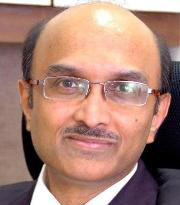 Being in profession since 1985, he handles assignments for Indian Corporate as well as Multinationals, from offering them consultancy to representing them at assessments and appellate levels. 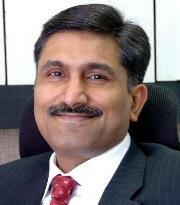 Since 1989, Ravindra has been engaged in diversified professional activities. Besides auditing and assurance services, his specialization includes Business Advisory Services, Valuation of Business, Acquisition & Take Overs, Negotiations, International transactions and assignments. He is also heading the Indirect taxation practice of the firm. He has played an integral part in shaping the firm, heading a variety of Audits - Manufacturing and Financial and leads Management Consulting assignments ranging from reviews of Management Information Systems, Reporting Systems, Financial Restructuring, Mergers and Amalgamations, Corporate Restructuring and beyond.